We at the Drill Down appreciate your support and are very happy to have an opportunity to give back to you, our dedicated listeners. 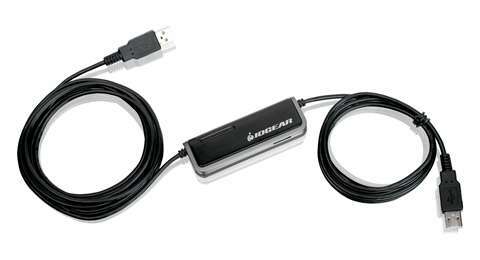 We have received a Laptop KVM switch from IOGEAR (valued at $99.95) that we want to give to one of our lucky listeners. To win, all you need to do is submit an original blog post to submissions@thedrilldown.com between now and April 30, 2009 and then on May 1, 2009 May 7th and then on May 8th we’ll evaluate the best post to determine which author will win. Your submission must be original content to TheDrillDown.com; the post may not have previously appeared on another blog. In regards to content, we love all things social. Opinions, news, goss, and analysis are all welcome. Thanks again to IOGEAR for making this contest happen and don’t forget to enter their contest, where they are giving away hundreds of dollars worth of prizes at http://bit.ly/iogear-prizes. Update: Contest extended to May 7th. due to reclarification of entry qualifications. That’s one more week, folks! Update: We have a winner! April Capil for her entry “Sustainability and Survival“. Thanks to all the entrants!